I edited this new card for Graduation this year and it turned out so great! I love the cool paperclip attachment and how fun and youthful it looks. I got the idea for this one from some cute t-shirts I saw at the mall. 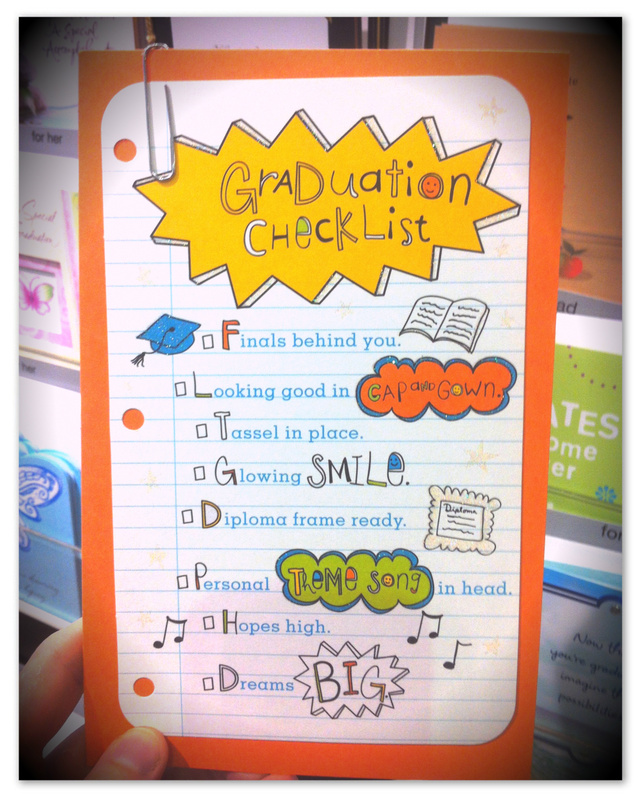 A lot of them were funky little checklists, so I thought that would make an awesome card for this year’s grads. I worked with one of the writers and she came up with this great piece of copy. Oh, and you can probably tell from the card rack behind this one, but you can find this bad boy in stores right now! It’s perfect for the Class of 2012! Looking good in cap and gown. Personal theme song in head.